We all know how good we feel after getting a professional massage done; we’re deeply relaxed, our stress levels decrease while our blood flow increases, and we’re left with a sense of overall well-being. With the many benefits massage therapy provides, it’s no surprise it’s now being widely used in animal rehabilitation. Just like us, our canine and feline friends are prone to accidents and injury, so they too can benefit from the soothing and regenerating effects of a professional veterinary massage. 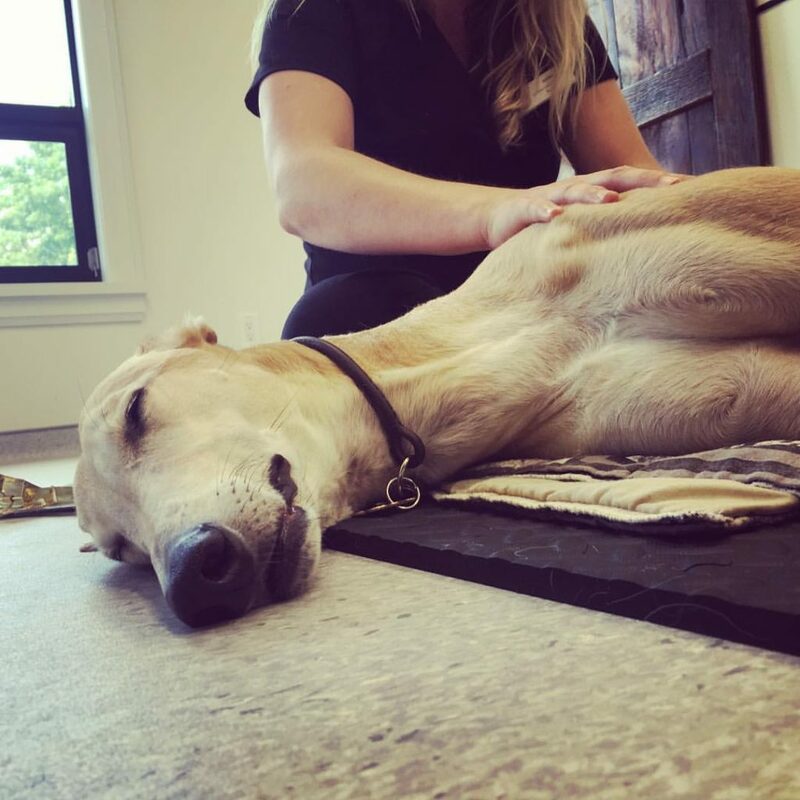 Dog massage therapy has become an integral part of a dog’s pre- and post-recovery program and healing process. It is a comprehensive, non-invasive form of rehabilitation which aims at improving a dog’s mobility and comfort, as well as providing pain relief and speeding recovery after an injury or ailment. 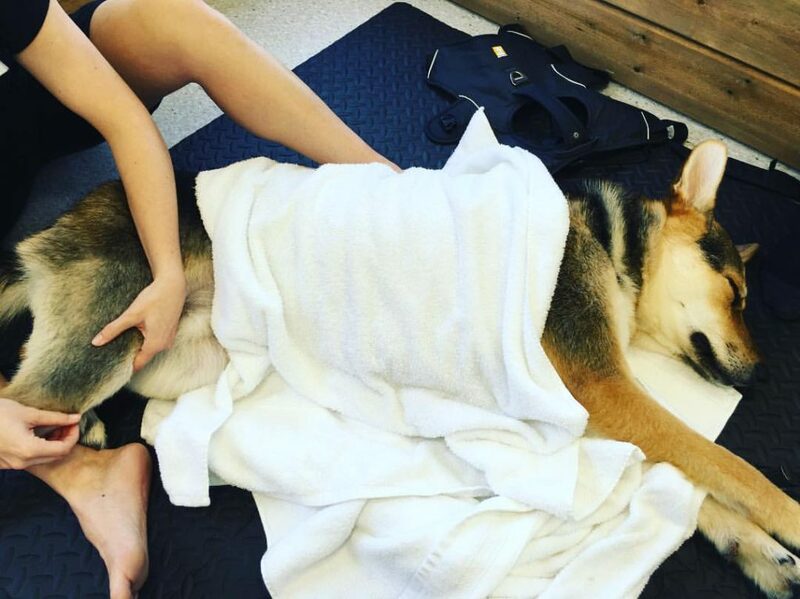 Although dog massage therapy is commonly used for dogs with orthopedic, musculoskeletal and neurological issues; for sporting dogs that suffer athletic injuries, and for senior dogs that have lost their mobility due to aging, it can also be used as a preventative measure to reduce potential injuries and keep your dogs happy and healthy throughout their lifespan. 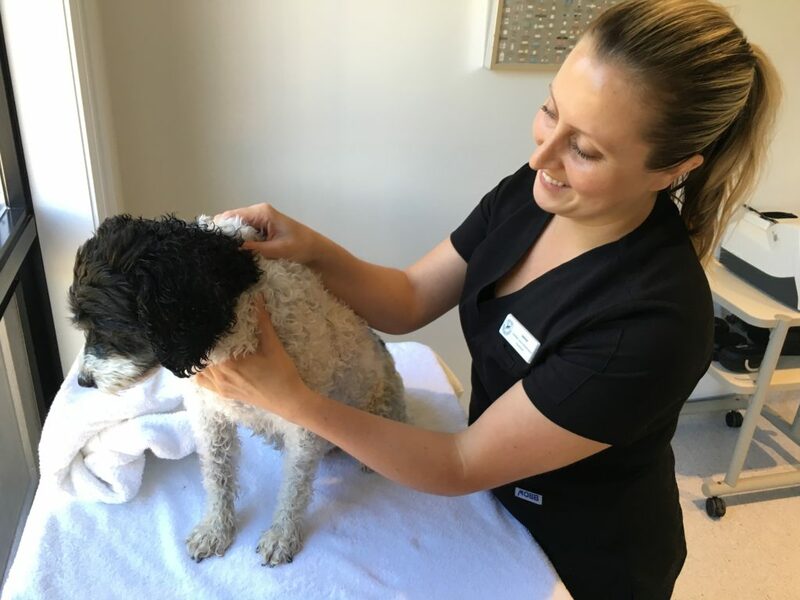 Read on to find out why canine massages can be extremely beneficial for dogs, and why you should ask your vet for a massage therapy referral. What are the benefits of dog massage therapy? The advantages of massage therapy for dogs are multifold. Regular therapeutic massages can be a great way for your pets to maintain a healthy activity level and help them live longer and happier lives. When performed as part of a comprehensive recovery program, they can also greatly aid in pre- and post-surgery recovery, as well as reduce pain and ailments without resorting to medication, anesthetics or sedation. In addition, massage therapy can assist with some behavioral and psychological problems; it can help calm nervous or anxious dogs who have endured past psychological traumas in a previous home, dogs who are dealing with stresses associated with shelter environments or are adjusting to a new environment, or those suffer from separation anxiety. Relieve muscle tension and soreness. Promote tissue healing and decrease chronic or acute pain. Strengthen damaged tissues and speed recovery time. Help with dog arthritis, hip dysplasia and other chronic diseases. Prevent and relieve muscle spasms. Increase blood flow and promote lymphatic drainage. Last but not least, it undoubtedly enhances human-animal bond and trust. What ailments can be improved thanks to massage therapy? As your dog’s body ages, its muscles can become tighter, and the range of motion in the joints can be minimized. A lack of flexibility can cause its movement to become slower and less fluid, making your animal companion more susceptible to muscle strains or other soft tissue injuries. Arthritis and other joint conditions. Weekend warrior syndrome – over-using untrained muscles. Dogs from a wide range of backgrounds, physical conditions, age and temperament can all benefit from massage therapy. 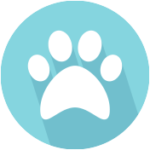 Before determining the type of massage needed for your pet, our team of therapists will perform a thorough health examination to determine what ailment requires attention and if massage therapy is a good option for your pet. Massage therapy can help treat working dogs who perform a series or repetitive movements on a daily basis. Walking long hours, leaning into a harness, or jumping up to retrieve objects for example can add more weight and strain on certain muscles and joints. 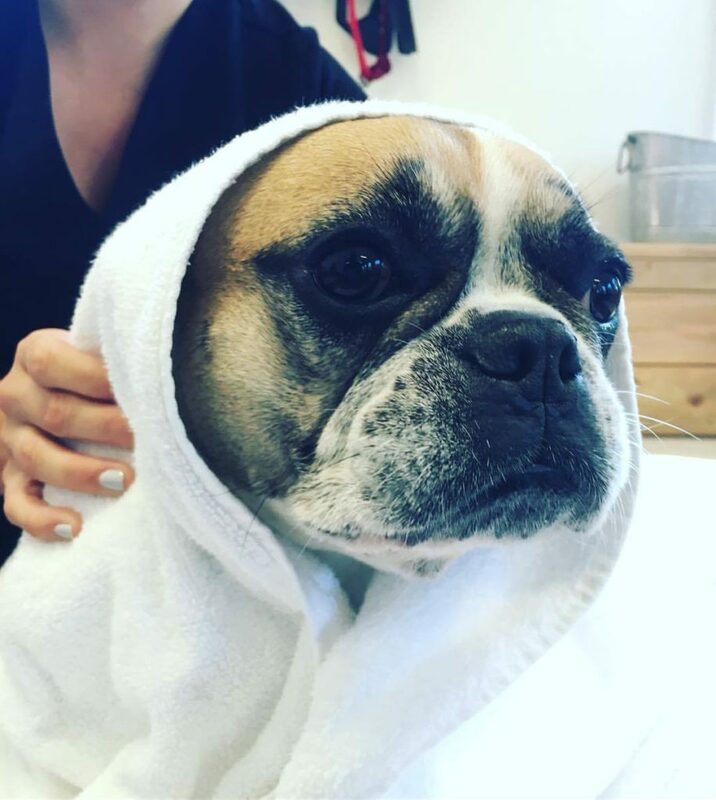 Massage therapy can also reduce the pain and tension resulting from arthritis and other joint and bone conditions common in aging dogs, keeping muscles toned and slowing deterioration of joints. What types of rehabilitation massages are available? Today’s veterinary practices embrace a more holistic approach to treatment care options. Veterinary professionals trained in massage therapy or certified in rehabilitation are well versed in ensuring your dog is receiving a therapeutic massage. It may just be the best thing you do to help your dog’s quality of life!